Should Pregnant Women Always Be Treated for Underactive Thyroid? Can You Blame Your Headaches on Your Thyroid? Arrhythmias, autoimmune, benign, biopsy, bradycardia, cancerous, cretinism, De Quervain's thyroiditis, diabetes mellitus, exophthalmia, exophthalmos, FANA, fluorescent antinuclear antibody test, goiter, Graves' disease, Graves' ophthalmopathy, hyperparathyroidism, hyperthyroid, hyperthyroidism, hypocalcemia, hypoparathyroidism, hypothyroidism, IGT, impaired glucose tolerance, intrinsic factor, iodine, malignant, myxedema, non-cancerous, nuclear scan, osteoporosis, parathyroid, parathyroid hormone, pernicious anemia, PTH, subclinical hyperthyroidism, subclinical hypothyroidism, tachycardia, tetany, thyroid storm, thyroidectomy, thyroiditis, thyrotoxicosis, ultrasound, vitamin B12, vitiligo. Hormonal disorders or endocrine disorders, including thyroid disorders, are illnesses that occur when the body releases too many or too few hormones. Hormones are chemicals messengers that are released into the bloodstream. Hormones send messages to cells throughout the body in order to regulate bodily functions, such as growth, metabolism, and sexual development. As a result, individuals with hormonal disorders experience a disruption in such bodily functions. Thyroid disorders are among the most common medical conditions but, because their symptoms often appear gradually over time, they are commonly misdiagnosed. There are four main types of thyroid disease: hyperthyroidism or too much thyroid hormone; hypothyroidism or too little thyroid hormone; benign (non-cancerous) thyroid disease; and thyroid cancer. The thyroid gland is a small, butterfly-shaped gland located in the base of the neck on both sides of the lower part of the voice box (larynx) and upper part of the wind pipe (trachea). The thyroid produces hormones, called thyroxine (T4) and triiodothyronine (T3), which affect the body's metabolism and energy level. Thyroid hormone is also produced in response to thyroid stimulating hormone (TSH, also known as thyrotropin) secreted by the pituitary gland. Release of thyroid hormones is controlled by the hypothalamus and pituitary gland, both found deep inside the brain. One of the most important features of the endocrine system is its regulation (control) by negative feedback. This means that the glands that stimulate the release of a hormone (for example, the pituitary) from another gland (for example, the thyroid) are eventually shut off, in a sense, so that too much hormone is not produced. 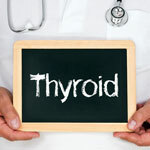 Thyroid disorders affect some 4.5 million Americans. At least 600,000 of them have yet to be diagnosed. Hypothyroidism: Common symptoms of hypothyroidism include sensitivity to cold temperatures, mild weight gain, fatigue, constipation, small thyroid gland, enlarged neck, dry skin, hair loss, muscle cramps, heavy and irregular menstruation, and difficulty thinking or concentrating. Less common symptoms main include facial swelling and joint stiffness. The most obvious sign of severe hypothyroidism is a goiter. A goiter is a severe swelling of the thyroid gland in the front of the neck. Hyperthyroidism: Common symptoms of hyperthyroidism include sudden and unexplained weight loss, increased or irregular heartbeat, nervousness, irritability, tremors (especially in the hands), increased sweating, abnormal menstruation, increased sensitivity to warmth, more frequent bowel movements, enlarged thyroid gland (goiter), fatigue, difficulty sleeping, and muscle weakness. Some patients may be unable to close the eyelid (eyelid retraction). Some individuals may also experience lid-lag. 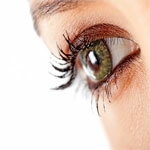 This occurs when the eyelids do not move down when the person's eye looks downward. Blood tests: A blood test that measures the amount of thyroid hormones in the blood is the standard diagnostic test for an underactive thyroid. If the individual has low levels of thyroid hormone in the blood, the patient is diagnosed with hypothyroidism. The levels of thyroxine (T4), triiodothyronine (T3), and thyroid stimulating hormone (TSH) in the blood stream are measured. An overactive thyroid, such as in hyperthyroidism, would be expected to cause high levels of T4 and T3 and low levels of TSH. An underactive thyroid, such as in hypothyroidism, would be expected to cause low levels of T4 and T3 and a high level of TSH. Subclinical hypothyroidism and hyperthyroidism: Some patients are found to have elevated serum thyroid stimulating hormone (TSH) levels, suggesting hypothyroidism, but have normal levels of thyroxine (T4). This state is referred to as subclinical hypothyroidism. Some individuals with subclinical hypothyroidism may have clinical symptoms, such as weakness, lethargy, fatigue, hoarseness, hearing loss, bradycardia (slow heart rate), dry skin, coarse hair, cold intolerance, constipation, weight gain, muscle cramps, and fluid build-up in the eyelids, face, and legs. Treatment of subclinical hypothyroidism is similar to hypothyroidism. Subclinical hyperthyroidism is defined as low serum TSH concentrations in the presence of normal serum thyroid hormone concentrations (T4 or FT4 and T3 or FT3 levels). Individuals with subclinical hyperthyroidism are at increased risk for cardiac arrhythmias and bone loss. Fluorescent antinuclear antibody (FANA) test: The fluorescent antinuclear antibody (FANA) test may be performed to detect abnormal antibodies, called auto antibodies. The auto antibodies bind to components of an individual's own cells and cause the immune system to attack the body. Antibodies are part of the body's immune system defense against foreign substances, such as bacteria and viruses. During the procedure, a small sample of blood is taken from the individual and sent to a laboratory. A scientist adds methyl alcohol to a microscope slide that contains human tissue culture cells. This makes the cells permeable before they are combined with the individual's blood. Then the individual's blood is added to the microscope slide. Fluorescent antibodies that detect the binding of human antibodies to the cells are also added. The scientist uses a fluorescent microscope to view the staining intensity and binding pattern of the cells. If auto antibodies are detected, a positive diagnosis is made for an autoimmune disorder. If an individual has a positive FANA result and has low levels of thyroid hormone in the blood, Hashimoto's thyroiditis is diagnosed. Ultrasound: Ultrasound takes a picture of the inside of the thyroid. Ultrasound bounces sound waves off the thyroid and makes a picture out of the returning echoes. If the ultrasound shows a large mass that is suspicious for cancer, then the doctor can use the ultrasound to guide a needle into the mass to perform a fine needle aspiration biopsy. If there are no large lumps in the thyroid gland that are suspicious for cancer, then no biopsy needs to be done. Nuclear scan: Sometimes a nuclear medicine thyroid scan is ordered to help determine the cause of an individual's overactive thyroid. Individuals swallow capsules that contain a harmless radioactive tracer bound to iodine. Some of this tracer winds up in the thyroid gland. Four, six, or 24 hours after the capsule is ingested (depending on the preferences of the radiology department performing the scan), a scanner is placed over the thyroid gland. This scanner can take a picture of the thyroid gland by detecting the parts of the thyroid gland that have taken up the radioactive tracer. In a normal thyroid gland, radioactive iodine is taken up to the same degree throughout the entire gland. If there is an area of the thyroid that does not take up radioactive iodine well, then it must be further investigated. It can be useful to measure how much of the radioactive tracer wound up in the thyroid gland. This can help determine the cause of the overactive thyroid. However, the actual diagnosis of the overactive thyroid is made with blood tests, not with the scan. Biopsy: Thyroid nodules are fairly common and usually harmless. However, about 4% of nodules are cancerous, so further testing needs to be done. This is usually best accomplished by fine needle aspiration biopsy. This is a quick and simple test that takes just a few minutes to perform in the doctor's office. If the biopsy does not raise any suspicion of cancer, the nodule is usually observed over time to watch for any changes. Some thyroid specialists recommend treatment with thyroid hormone to try to decrease the size of the nodule. A second biopsy is usually recommended six to 12 months later, to make sure there continues to be no evidence of cancer. If a nodule is cancerous, suspicious for cancer, or grows large enough to interfere with swallowing or breathing, surgical removal is advised. General: In general, complications of thyroid disorders develop if the condition is left untreated or if patients do not take their medications or treatments as prescribed. Birth defects: If pregnant women with Hashimoto's thyroiditis do not receive treatment, their babies are more likely to have birth defects. Babies may have intellectual and developmental problems. Researchers have identified a connection between underactive thyroids during pregnancies and brain, heart, and kidney problems in infants. Goiter: When an individual's thyroid is not producing enough hormones, the pituitary gland constantly stimulates the thyroid to release more hormones. As a result, the thyroid may become enlarged, causing the neck to look swollen. This condition is called a goiter. Although goiters generally do not cause pain, a large goiter can interfere with swallowing or breathing and it may affect the patient's appearance and self-esteem. In many cases, goiters will be cured once hormone replacement therapy is started. However, some patients may need to have their goiter surgically removed. Heart problems: If hypothyroidism is not properly treated, individuals may have an increased risk of developing heart disease. The individual's heart may enlarge, and in rare cases, this may lead to heart failure. Researchers have also found a connection between hypothyroidism and high cholesterol. It is unclear why hypothyroidism and subclinical hypothyroidism may lead to high cholesterol levels. Mental functioning: Untreated hypothyroidism may also lead to slowed mental functioning. Individuals may become confused or have trouble thinking or concentrating. Once treatment is started, these symptoms will go away. Mental health: If hypothyroidism is untreated or poorly managed, individuals may suffer from depression. Individuals who are depressed experience sadness, low self-esteem, loss of pleasure, apathy, and sometimes, difficulty functioning. If these problems persist for two weeks or more for unknown reasons, individuals should consult their healthcare providers. Libido: Some males and females may experience a decrease in sexual desire (libido). Myxedema: In rare cases, long-term Hashimoto's thyroiditis that has not been treated may lead to a life-threatening condition called myxedema. This condition causes swelling of the skin and other tissues, especially near the eyes and cheeks. Symptoms may include drowsiness followed by extreme tiredness and unconsciousness due to low levels of thyroid hormone. Patients who experience symptoms of myxedema should seek immediate medical treatment at the emergency department of a nearby hospital. Cretinism: Cretinism is caused by a decreased production of T4 and results in mental retardation, stunted growth, and coarse facial features. The signs of cretinism are constant drooling, a swayback, a potbelly, short stature, and irregularly placed and poorly formed teeth. If this condition is diagnosed within the first several months of life (standard newborn tests should reveal low thyroid levels), the chances of normal development are excellent. Heart conditions: Some of the most serious complications of hyperthyroidism involve the heart. 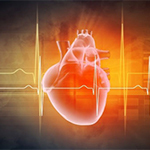 These include tachycardia (rapid heart rate) and congestive heart failure (CHF), a condition in which the heart cannot circulate enough blood to meet the body's needs. Brittle bones: Untreated hyperthyroidism can also lead to weak, brittle bones (osteoporosis). The strength of the bones depends, in part, on the amount of calcium and other minerals they contain. Too much thyroid hormone interferes with the body's ability to incorporate calcium into the bones. Eye conditions: Individuals with Graves' ophthalmopathy develop eye problems, including bulging, red or swollen eyes, sensitivity to light, and blurring or double vision. Skin irritation: In rare cases, Graves' disease also affects the skin, causing redness and swelling, often on the shins and feet. Thyrotoxic crisis: Hyperthyroidism also places the individual at risk of thyrotoxic crisis. Thyrotoxic crisis means there is a sudden release of thyroid hormone into the bloodstream, leading to a fever, a rapid pulse, and even delirium. If this occurs, immediately seek medical care. Impaired glucose tolerance (IGT): Individuals with pre-diabetes have blood glucose levels that are higher than normal but not high enough for a diagnosis of diabetes, a condition known as impaired glucose tolerance or IGT. This condition raises the risk of developing type 2 diabetes, heart disease, and stroke. High levels of thyroid hormone, such as in hyperthyroidism, may lead to IGT. General: Once individuals are diagnosed with hypothyroidism (underactive thyroid) or Hashimoto's thyroiditis, they receive man-made hormones to make up for the decreased hormone levels. Treatment is life-long. Some individuals may need to have their thyroid gland surgically removed. These people will need to take hormones for the rest of their lives, but they are able to live normal, healthy lives. Individuals should tell their healthcare providers if they are taking any other drugs (prescription or over-the-counter), herbs, or supplements because they may interact with treatment. For instance, a cholesterol lowering medication called cholestyramine (Questran®), an ingredient in some antacids called aluminum hydroxide, sodium polystyrene sulfonate (Kayexalate®), an anti-ulcer drug called sucralfate (Carafate®), iron supplements, calcium supplements, and soy may interact with treatment. Thyroid hormone replacement therapy: Individuals usually receive thyroid hormone replacement therapy with levothyroxine (Levothroid®, Levoxyl®, Synthroid®, or Unithroid®). This man-made hormone is identical to the natural thyroid hormone called thyroxine. The medication is taken by mouth every day for life to help the body return to normal functioning. Levothyroxine is the most commonly prescribed thyroid hormone replacement drug. A synthetic form of thyroid hormone, liothyronine (Cytomel®), may also be prescribed. Thyrolar® (Liotrix) is another synthetic thyroid drug that contains both L-triiodothyronine (T3) and levothyroxine sodium (T4). Natural thyroid hormone replacement drugs are made from the desiccated (dried and powdered) thyroid glands of pigs and are available by prescription. Dessicated thyroid drugs have been available since the late 1800s, however since the early 1960s have been largely replaced with use of synthetic levothyroxine. All commercially available brands of desiccated thyroid contain a mixture of thyroid hormones, T4 (thyroxine) and T3 (triiodothyronine). Among the most well known brands of desiccated thyroid in the United States is Armour® Thyroid. Natural thyroid hormone agents are also sometimes called natural thyroid, natural thyroid hormones, pork thyroid, thyroid USP, thyroid extract, or thyroid BP. Individuals should visit their healthcare providers every six to 12 months to monitor their hormone levels. Over time, the dosage may be changed. If the dose is too high, individuals may develop a condition called osteoporosis, which causes the bones to become hollow and brittle. Also, excessive doses may lead to irregular heartbeats (arrhythmias). In order to prevent complications of overdose, individuals with a history of heart disease, osteoporosis, or severe hypothyroidism may receive smaller doses that are gradually increased over time. Surgery: If an individual patient develops a goiter that does not respond to hormone therapy, the thyroid may need to be surgically removed (called thyroidectomy). Although goiters generally do not cause pain, a large goiter can interfere with swallowing or breathing and it may affect the individual's appearance and self-esteem. Individuals can live long, healthy lives without the thyroid gland. However, they must take hormone pills called levothyroxine (Levothroid®, Levoxyl®, Synthroid® or Unithroid®) for the rest of their lives. Several treatments for hyperthyroidism exist. The best approach depends on age, physical health, and the severity of the condition. Radioactive iodine: Taken by mouth, radioactive iodine is absorbed by the thyroid gland, where it causes the gland to shrink and symptoms to subside, usually within three to six months. Because this treatment causes thyroid activity to slow considerably and for the thyroid gland to shrink in size, individuals may eventually need to take a medication every day to achieve adequate thyroid hormone levels. Anti-thyroid medications: Anti-thyroid medications gradually reduce symptoms of hyperthyroidism by preventing the thyroid gland from producing excess amounts of hormones. They include propylthiouracil (PTU) and methimazole (Tapazole®). Symptoms usually begin to improve in six to 12 weeks, but treatment with anti-thyroid medications typically continues at least a year and often longer. For some individuals, symptoms of hyperthyroidism disappear completely, but others may experience a relapse. Beta blockers: Beta blockers are commonly used to treat hypertension (high blood pressure). They will not reduce thyroid levels, but they can reduce a rapid heart rate and help prevent palpitations. Individuals with hyperthyroidism may be prescribed beta blockers until the thyroid levels are closer to normal and heart symptoms disappear. Surgery: Thyroidectomy is used when the individual cannot tolerate anti-thyroid drugs and does not want to have radioactive iodine therapy, although this is an option in only a few cases. These individuals may be at an increased risk for complications when using drugs or radioactive therapy. In a thyroidectomy, a doctor removes most of the thyroid gland. Risks of this surgery include damage to the vocal cords and parathyroid glands. Parathyroid glands are four tiny glands located on the back of the thyroid gland that help control the level of calcium in the blood. Individuals undergoing a thyroidectomy will need lifelong treatment with levothyroxine (Synthroid®) to supply the body with normal amounts of thyroid hormone. If the parathyroid glands also are removed, individuals will need medication to keep the blood-calcium levels normal. Iodine: Iodine is an element (atomic number 53) that is required by humans for the synthesis of thyroid hormones (triiodothyronine/T3 and thyroxine/T4). Iodine deficiency is one of the causes of goiter (hypertrophy of the thyroid gland as it tries to make more thyroid hormone in the absence of iodine). Physically, goiter appears as an abnormal enlargement of the thyroid gland in the neck. Other causes of goiter include autoimmune thyroiditis, excess iodine, other hormonal disorders, radiation exposure, infectious causes, or inborn errors of metabolism. Although goiter due to low iodine intake is rare in developed countries, it may occur in regions with endemic low iodine levels. To avoid iodine deficiency in the United States, table salt is enriched with iodine ("iodized" salt), and iodine is added to cattle feed and used as a dough conditioner. Iodine supplementation for goiter prevention is generally not recommended in developed countries where sufficient iodine intake is common, and excess iodine can actually cause medical complications (including goiter). Iodine supplementation should be considered in cases of known iodine deficiency, and should be administered with medical supervision if possible. Notably, the treatment of goiter usually involves administration of thyroid hormone, most commonly levothyroxine sodium (Synthroid®, Levoxyl®, Levothroid®). Iodine generally does not play a role in the acute management of this condition. 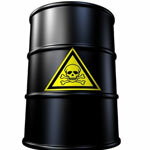 Reactions can be severe, and deaths have occurred with exposure to iodine. Avoid iodine-based products if allergic or hypersensitive to iodine. Do no use for more than 14 days. Avoid Lugol solution and saturated solution of potassium iodide (SSKI, PIMA) with hyperkalemia (high amounts of potassium in the blood), pulmonary edema (fluid in the lungs), bronchitis, or tuberculosis. Use sodium iodide cautiously with kidney failure. Avoid sodium iodide with gastrointestinal obstruction. Iodine is safe in recommended doses for pregnant or breastfeeding women. Vitamin D: Vitamin D is found in numerous dietary sources such as fish, eggs, fortified milk, and cod liver oil. The sun is also a significant contributor to our daily production of vitamin D, and as little as 10 minutes of exposure is thought to be enough to prevent deficiencies. 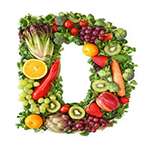 The term "vitamin D" refers to several different forms of this vitamin. Some individuals may develop secondary hyperparathyroidism due to low vitamin D levels. The initial treatment for this type of hyperparathyroidism is vitamin D. For individuals with primary or refractory hyperparathyroidism, surgical removal of the parathyroid glands is commonly recommended by healthcare professionals. Hypoparathyroidism (low blood levels of parathyroid hormone) is rare, and is often due to surgical removal of the parathyroid glands. Oral doses of dihydrotachysterol (DHT), calcitriol, or ergocalciferol at high doses can assist in increasing serum calcium concentrations in people with hypocalcemia due to hypoparathyroidism or pseudohypoparathyroidism. Avoid if allergic or hypersensitive to vitamin D or any of its components. Vitamin D is generally well-tolerated in recommended doses; doses higher than recommended may cause toxic effects. Use cautiously with hyperparathyroidism (overactive thyroid), kidney disease, sarcoidosis, tuberculosis, and histoplasmosis. Vitamin D is safe in pregnant and breastfeeding women when taken in recommended doses. Chasteberry: Chasteberry may inhibit prolactin secretion, and thus has been suggested as a potential therapy in hyperprolactinemia, a condition characterized by elevated serum prolactin levels. Although preliminary evidence is promising, additional study is warranted in this area. Avoid if allergic or hypersensitive to members of the Vitex (Verbenaceae) family or any chasteberry components. When taken in recommended doses, chasteberry appears to be well tolerated with few side effects. Use cautiously in patients taking oral contraceptives or hormone replacement therapy Use cautiously with dopamine agonists or antagonists. Avoid with hormone sensitive cancers or conditions (like ovarian cancer or breast cancer). Avoid if pregnant, breastfeeding or if undergoing in vitro fertilization. Iodine: Graves disease is an immune-mediated disorder that causes hyperthyroidism. Thyroid-stimulating immunoglobulins bind to the thyroid stimulating hormone (TSH) receptor, mimic the action of thyroid TSH, and stimulate thyroid growth and thyroid hormone overproduction. Standard treatments for Graves' disease target the thyroid gland (rather than the source of the disorder) and include antithyroid drugs such as propylthiouracil or methimazole, radioactive iodine to ablate (destroy) thyroid cells, or surgery to remove thyroid tissue. Beta-blocker drugs may be used to control symptoms. Iodide preparations can be used to suppress thyroid hormone release from the thyroid, such as strong iodine solution (Lugol solution), potassium iodide (SSKI), and iodinated radiographic contrast agents (sodium ipodate). Patients undergoing thyroid surgery are commonly treated preoperatively with antithyroid drugs to achieve a euthyroid state, then SSKI. Hyperthyroid crisis (thyroid storm) is a medical emergency caused by excessive release of thyroid hormones into the circulation. Initial management of this condition involves inhibition of thyroid function with thioamide drugs such as propylthiouracil or methimazole. Iodides (such as potassium iodide) can then be administered to block the release of thyroid hormone, but should only be given an hour after thioamides to assure that the iodide is not used by the thyroid to make more thyroid hormone and worsen symptoms. Caution is warranted because iodide preparations carry a risk of causing serum sickness. Iodides should not be used for long-term treatment of thyrotoxicosis. Calcium: In patients on hemodialysis, calcium supplementation may reduce secondary hyperparathyroidism (high blood levels of parathyroid hormone due to another medical condition or treatment). Treatment of hyperparathyroidism should only be done under the supervision of a qualified healthcare professional. Avoid if allergic or hypersensitive to calcium or lactose. High doses taken by mouth may cause kidney stones. Avoid with hypercalcemia (high levels of calcium in the blood), hypercalciuria (high levels of calcium in urine), hyperparathyroidism (high levels of parathyroid hormone), bone tumors, digitalis toxicity, ventricular fibrillation (ventricles of the heart contract in unsynchronized rhythm), kidney stones, kidney disease, or sarcoidosis (inflammation of lymph nodes and various other tissues). Calcium supplements made from dolomite, oyster shells, or bone meal may contain unacceptable levels of lead. Use cautiously with achlorhydria (absence of hydrochloric acid in gastric juices) or arrhythmia (irregular heartbeat). Calcium appears to be safe in pregnant or breastfeeding women. Gamma oryzanol: Gamma oryzanol is a mixture of ferulic acid esters of sterol and triterpene alcohols, and it occurs in rice bran oil at a level of 1-2%, although it has been extracted from corn and barley oils as well. Preliminary evidence has indicated that gamma oryzanol affects several parts of the endocrine system, and may reduce thyroid stimulating hormone (TSH) in individuals with hypothyroidism. More studies are needed in this area and other areas of endocrinology to establish gamma oryzanol's effects. Avoid if allergic/hypersensitive to gamma oryzanol, its components, or rice bran oil. Use cautiously if taking anticoagulants (blood thinners), central nervous system (CNS) suppressants, growth hormone, drugs that alter blood sugar levels, immunomodulators, luteinizing hormone, luteinizing hormone-releasing hormone, prolactin, cholesterol-lowering agents, thyroid drugs, or herbs or supplements with similar effects. Use cautiously with diabetes, hypothyroidism, hypoglycemia, or high cholesterol. Avoid if pregnant or breastfeeding. Ginkgo: Ginkgo biloba may decrease damage to cells caused by radioiodine therapy in patients with Graves' disease. Further study is needed. Avoid if allergic or hypersensitive to members of the Ginkgoaceaefamily. If allergic to mango rind, sumac, poison ivy or oak or cashews, then allergy to ginkgo is possible. Avoid with blood-thinners (like aspirin or warfarin (Coumadin®)) due to an increased risk of bleeding. Ginkgo should be stopped two weeks before surgical procedures. Ginkgo seeds are dangerous and should be avoided. Skin irritation and itching may also occur due to ginkgo allergies. Do not use ginkgo in supplemental doses if pregnant or breastfeeding. Iodine: Iodine plays a role in goiter prevention, but does not appear to play a role in goiter treatment. Iodine deficiency should be corrected if found, with supplementation. L-carnitine: L-carnitine, known as acetyl-L-carnitine or carnitine, is synthesized in the liver, kidney, and brain and actively transported to other areas of the body to help generate energy. Although preliminary evidence is promising, there is insufficient available evidence for the use of carnitine for hyperthyroidism. Avoid with a known allergy or hypersensitivity to carnitine. Use cautiously with peripheral vascular disease, high blood pressure, alcohol-induced liver cirrhosis, or diabetes. Use cautiously in low birth weight infants and individuals on hemodialysis. Use cautiously if taking anticoagulants (blood thinners), beta-blockers, or calcium channel blockers. Avoid if pregnant or breastfeeding. Licorice: Shakuyaku-kanzo-to, an herbal medicine containing licorice, has been used for neuroleptic-induced hyperprolactinemia (elevated levels of prolactin). 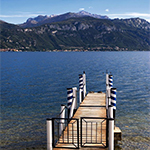 However, additional studies are needed in this area. Phosphates: This use of phosphates has not been clearly demonstrated as being beneficial for hyperparathyroidism and other thyroid disorders in scientific studies. Additional research is needed in this area. Avoid if allergic or hypersensitive to any ingredients in phosphorus/phosphate preparations. Use phosphorus/phosphate salts cautiously with kidney or liver disease, heart failure, unstable angina (chest pain), recent heart surgery, hyperphosphatemia (high phosphate blood level), hypocalcemia (low calcium blood level), hypokalemia (low potassium blood level), hypernatremia (high sodium blood level), Addison's disease, intestinal obstruction or ileus, bowel perforation, severe chronic constipation, acute colitis, toxic megacolon, hypomotility syndrome, hypothyroidism, scleroderma, or gastric retention. Avoid sodium phosphate enemas with congenital or abnormalities of the intestine. Too much phosphorus may cause serious or life-threatening toxicity. Physical therapy: The goal of physical therapy is to improve mobility, restore function, reduce pain, and prevent further injury. Several methods, including exercises, stretches, traction, electrical stimulation, and massage, may be used. There is currently insufficient available information on physical therapy as a treatment for thyroiditis. Additional research is needed before a conclusion can be made. Not all physical therapy programs are suited for everyone, and patients should discuss their medical history with a qualified healthcare professional before beginning any treatments. Physical therapy may aggravate pre-existing conditions. Persistent pain and fractures of unknown origin have been reported. Physical therapy may increase the duration of pain or cause limitation of motion. Pain and anxiety may occur during the rehabilitation of patients with burns. Both morning stiffness and bone erosion have been reported in the literature although causality is unclear. Erectile dysfunction has also been reported. Physical therapy has been used in pregnancy and although reports of major adverse effects are lacking, caution is advised nonetheless. All therapies during pregnancy and breastfeeding should be discussed with a licensed obstetrician/gynecologist before initiation. Rehmannia: Rehmannia glutinosa has been used in the treatment of Sheehan's syndrome (hypopituitarism). However, the magnitude of therapeutic effects of rehmannia on Sheehan's syndrome remains unclear. More research is necessary in this area. Avoid if allergic/hypersensitive to rehmannia, any of its constituents, or any members of the Scrophulariaceae family. Use cautiously if taking anticoagulants, blood pressure medication, diuretics, or thyroid medication. Use cautiously with diabetes. Use cautiously in children younger than 2 years of age. Avoid if taking therapeutic immunosuppressives (for treatment of autoimmune disease). Avoid with diarrhea and lack of appetite. Avoid if pregnant or breastfeeding. Seaweed: Fucusvesiculosus, also commonly referred to as bladderwrack, has traditionally been used to treat disorders of the thyroid gland. Bladderwrack is a brown seaweed rich in vitamins and minerals, including iodine (up to 600 micrograms/gram). Bladderwrack also concentrates heavy metals found in the ocean, including arsenic, cadmium, and lead, and ingestion carries with it the risk of heavy metal poisoning. Although there are case reports of kelp products inducing hyperthyroidism, there have not been systematic studies of dosing, safety, or efficacy, and there is no widely accepted standardization of iodine content for these products. While the evidence does suggest thyroid activity, there are inadequate studies to strongly support the use of bladderwrack for goiter. Bladderwrack may increase bleeding in those taking blood thinning medications, such as aspirin and warfarin (Coumadin®). Avoid if allergic or hypersensitive to Fucus vesiculosus and iodine. Avoid with a history of thyroid disease, bleeding, acne, kidney disease, blood clots, nerve disorders, high blood pressure, stroke, or diabetes. Avoid if pregnant or breastfeeding. Selenium: Selenium is a trace mineral found in soil, water, and some foods. It is an essential element in several metabolic pathways. An early toxic effect of selenium is disruption of endocrine function, including synthesis of thyroid hormones (T3). Selenium has been suggested to improve inflammatory activity in thyroid conditions such as chronic autoimmune thyroiditis or Grave's disease. Further research is needed before a clear conclusion can be drawn. Soy: Early research suggests that soy supplements may not affect thyroid function and thus may not be of benefit for thyroid disorders. More research is needed. Zinc: Case report data suggest zinc supplementation may improve thyroid hormone levels (particularly T3) among women with hypothyroidism. Zinc is generally considered safe when taken at the recommended dosages. Avoid zinc chloride. While zinc appears safe during pregnancy in amounts lower than the established upper intake level, caution should be used. The American Thyroid Association recommends that adults be screened for thyroid dysfunction by measurement of the serum thyrotropin (also known as thyroid stimulating hormone or TSH) concentration beginning at age 35 years and every five years thereafter. Individuals with symptoms and signs potentially attributable to thyroid dysfunction and those with risk factors for its development may require more frequent serum thyrotropin testing. Iodine deficiency is the most common cause of hypothyroidism worldwide. Iodine is found in seawater, so any type of seafood is a rich source of this element, particularly seaweed (including kelp, bladderwrack, or dulce). Despite coming from the ocean, sea salt is not a good source of iodine. Iodized salt is perhaps the most common source of iodine in the Western diet and can provide enough iodine to avoid low thyroid activity. 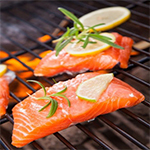 Since an adult only requires around one teaspoonful of iodine over a lifetime, eating fish once a week is enough to fulfill the average iodine requirement. The value of dietary iodine can be reduced by vegetables from the brassica family, which includes cabbage, brussels sprouts, raw turnip, broccoli, and cauliflower. In circumstances where both large quantities of these foods are eaten and the levels of dietary iodine are low, goiter could develop. Exercise is important for maintaining healthy hormone levels. Exercise 30 minutes daily, five days a week if possible. A doctor can help design an exercise program that is right for each individual. Bossowski AT, Reddy V, Perry LA, et al. Clinical and endocrine features and long-term outcome of Graves' disease in early childhood. J Endocrinol Invest. 2007;30(5):388-92. Centers for Disease Control. .
Duntas LH. Oxidants, antioxidants in physical exercise and relation to thyroid function. Horm Metab Res. 2005;37(9):572-6. Franklyn JA. Subclinical thyroid disorders - Consequences and implications for treatment. Ann Endocrinol (Paris). 2007; [Epub ahead of print]. Hoang JK, Lee WK, Lee M, et al. US Features of thyroid malignancy: pearls and pitfalls. Radiographics. 2007;27(3):847-60; discussion 861-5. Kasagi K. Painful Hashimoto's thyroiditis. Intern Med. 2006;45(6):351-2. Kung AW. Clinical review: Thyrotoxic periodic paralysis: a diagnostic challenge. J Clin Endocrinol Metab. 2006;91(7):2490-5. Thyroid Foundation of America. .
Risk factors for developing thyroid disorders include: previous thyroid dysfunction; goiter; surgery or radiotherapy affecting the thyroid gland; diabetes mellitus; vitiligo, an autoimmune disorder in which white patches of skin appear on different parts of the body; pernicious anemia, or a condition where red blood cells are not providing adequate oxygen to body tissues; leukotrichia (prematurely gray hair); adrenal insufficiency; and medications and other compounds, such as lithium carbonate and iodine-containing compounds, such as amiodarone hydrochloride, radiocontrast agents, expectorants containing potassium iodide, and kelp. A lack of vitamin B12 may put an individual at risk for developing a thyroid condition. Hypothyroidism: The causes of hypothyroidism include: heredity; Hashimoto's disease; pituitary tumors; thyroiditis (inflammation of the thyroid gland caused by excessive amounts of thyroid hormone leaking out of the thyroid gland and into the blood); not enough thyroid hormone medication; surgical removal of thyroid tissue (thyroidectomy); radioactive iodine administration; and a dietary deficiency of iodine. Hyperthyroidism: The causes of hyperthyroidism include: heredity; Grave's disease, also known as toxic diffuse goiter (enlargement of the thyroid gland); Plummer's disease, a condition where there is a single nodule (called adenoma) producing excess thyroid hormone; pituitary tumors; thyroiditis (inflammation of the thyroid gland caused by excessive amounts of thyroid hormone leaking out of the thyroid gland and into the blood); too much thyroid hormone medication; and excessive dietary intake of iodine (found in seaweed and liver). Hyperthyroidism: Hyperthyroidism occurs when the thyroid gland produces too much thyroxine. As a result, the individual's metabolism increases dramatically, leading to weight loss and irregular heartbeat. Most individuals fully recover from hyperthyroidism with treatment. However, if left untreated, the condition may be life threatening. Complications may include heart problems, brittle bones, and thyrotoxic crisis (sudden release of thyroid hormone). Thyrotoxic crisis occurs when symptoms suddenly become extreme, causing fever, increased heartbeat, and sometimes delirium. The most common cause of hyperthyroidism is Grave's disease. In Graves' disease, a malfunction in the body's immune system releases abnormal antibodies that mimic thyroid stimulating hormone (TSH). Spurred by these false signals to produce, the thyroid's hormone factories work overtime and produce an excess of thyroid hormone. Exophthalmia, also known as exophthalmos, is bulging of the eyes. Exophthalmia is a characteristic of individuals with Grave's disease. Exophthalmia occurs in about 40-60% of individuals who suffer from Grave's disease. Non-cancerous tumors (abnormal growths) on the thyroid gland may also lead to hyperthyroidism. Some tumors may cause the thyroid to produce excess thyroid hormone. This causes the thyroid to become enlarged. Hyperthyroidism may also occur if the thyroid gland becomes inflamed, called thyroiditis. When the gland is swollen, stored thyroid hormone may leak into the bloodstream. Hypothyroidism: Hypothyroidism occurs when the thyroid gland does not produce enough thyroid hormone. A condition called Hashimoto's thyroiditis is the most common cause of hypothyroidism in the United States. Thyroiditis is an inflammation of the thyroid gland not due to infection. Several types of thyroiditis exist and the treatment is different for each. Hashimoto's thyroiditis occurs when the individual's immune system attacks the thyroid gland, causing low levels of thyroid hormone. Researchers have not discovered why the immune system mistakes the thyroid for a harmful invader, such as a virus. It has been suggested that many factors lead to the disorder, including age, heredity, and gender. This is because the condition is most common among middle-aged women. It also common among biological family members. Other less common types of hypothyroidism include De Quervain's thyroiditis and silent thyroiditis. In De Quervain's thyroiditis, the thyroid gland generally swells rapidly and is very painful and tender. In silent thyroiditis, there is no pain or needle biopsy (removal of tissue for examination). Hypothyroidism may also occur if individuals do not consume enough iodine in the diet. This is most common in poor countries where malnutrition is common. Iodine is an essential element that helps the thyroid gland produce hormones. A goiter is an enlargement of the thyroid gland. Although generally not uncomfortable, goiter can interfere with swallowing or breathing. Goiters are more common in women and older adults. The most common cause of goiter is a shortage of iodine in the diet in areas where the soil is deficient in iodine. Although goiters generally do not cause pain, a large goiter may interfere with swallowing or breathing and it may affect the individual's appearance and self-esteem. In many cases, goiters will be cured once hormone replacement therapy is started. However, some individuals may need to have their goiter surgically removed. Goiters are typical of hypothyroidism. Individuals should visit their healthcare providers every six to 12 months to monitor their hormone levels. Over time, the dosage of thyroid medication may need to be changed. If the dose is too high, individuals may develop a condition called osteoporosis, which causes the bones to become hollow and brittle. Also, excessive doses may lead to irregular heartbeats (arrhythmias). In order to prevent complications of overdose, individuals with a history of heart disease, osteoporosis, or severe hypothyroidism may receive smaller doses that are gradually increased over time. Thyroid nodules: Thyroid nodules are lumps that commonly arise within an otherwise normal thyroid gland. Often these abnormal growths of thyroid tissue are located at the edge of the thyroid gland so they can be felt as a lump in the throat. When they are large or when they occur in very thin individuals, they can even sometimes be seen as a lump in the front of the neck. One in 12-15 young women has a thyroid nodule, and one in 40 young men has a thyroid nodule. More than 95% of all thyroid nodules are benign (non-cancerous growths). Some nodules are actually cysts that are filled with fluid rather than thyroid tissue. Most individuals will develop a thyroid nodule by the time they are 50 years old. The incidence of thyroid nodules increases with age; 50% of 50 year olds will have at least one thyroid nodule, 60% of 60 year olds will have at least one thyroid nodule, and 70% of 70 year olds will have at least one thyroid nodule. Individuals do not have to have hypo- and hyperthyroidism to have nodules of the thyroid gland. Thyroid cancer: Many types of tumors can develop in the thyroid gland. Most of these tumors are benign (non-cancerous). Others are malignant (cancerous), which means they can spread into nearby tissues and to other parts of the body. Anyone can get cancer of the thyroid gland, but certain factors may increase the risk. Risk factors include: being between ages 25-65; being a woman; being Asian; having a family member who has had thyroid disease; or having radiation treatments to the head or neck. Hyperparathyroidism: The parathyroid glands regulate serum calcium and phosphorus levels through the secretion of parathyroid hormone (PTH), which raises serum calcium levels while lowering the serum phosphorus concentration. The regulation of PTH secretion occurs through a negative feedback loop in which calcium-sensing receptors on the membranes of parathyroid cells trigger decreased PTH production as serum calcium concentrations rise. Primary hyperparathyroidism, which accounts for most presentations of hyperparathyroidism, results from excessive release of PTH and manifests as hypercalcemia. In 80% of patients with hyperparathyroidism, the symptoms of hypercalcemia (high blood levels of calcium) are mild or not notable. Hypoparathyroidism: Hypoparathyroidism is secretion of too little parathyroid hormone. The symptoms of hypoparathyroidism are the same as hypocalcemia (low blood calcium levels). Symptoms can range from quite mild (tingling in the hands, fingers, and around the mouth) to more severe forms of muscle cramps leading all the way to tetany (severe muscle cramping of the entire body), and rarely convulsions.